A Great Many is the new album from Brooklyn-based composer Aaron Siegel. The record is available through New Amsterdam’s Bandcamp subscription as part of the Windmill Series, a new digitally-focused set of releases for subscribers in addition to our regular release schedule. Subscribe today to receive the album, which is out on all platforms Jan. 11 2019. 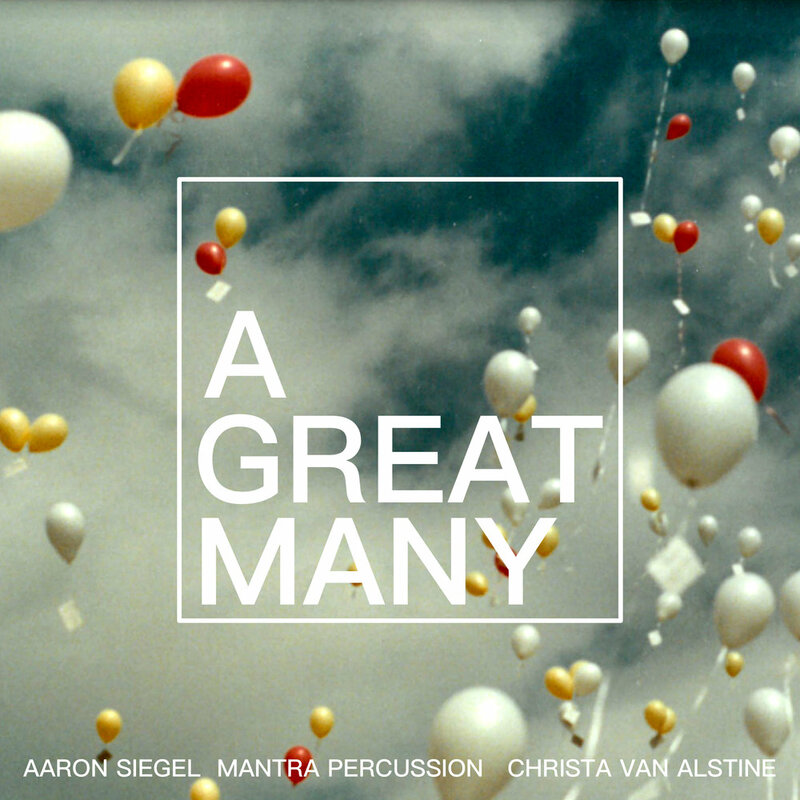 A Great Many is a new work for six percussionists and clarinet that represents the latest collaboration in 10-year relationship between composer Aaron Siegel and Mantra Percussion. This fruitful relationship started with the premiere and subsequent recording of Science is Only a Sometimes Friend, for eight glockenspiels and organ, which was selected as one of Time Out New York’s Ten Best Classical Albums of 2011. Mantra has premiered several other works for percussion during the intervening years, including The Light Come Down, a collaboration with the Young People’s Chorus of New York City, and the full-length opera Brother Brother, at Abrons Arts Center in 2014. A Great Many was commissioned by Chamber Music America in 2017 as a feature for clarinetist Christa Van Alstine and subsequently performed at the Vancouver New Music Festival and at the Ecstatic Music Festival. “The original idea for A Great Many came from videos of starlings moving together in a murmuration. I am interested in large groups of organisms and the way they operate with each other in highly choreographed ways. A Great Many is a dense piece with layers of sound stacked on top of one another. PRESS RELEASE: NOW AVAILABLE: Aaron Siegel's "A Great Many"